(Steve Griffin / The Salt Lake Tribune) The campus police offices on the campus of BYU in Provo Wednesday June 1, 2016. Brigham Young University filed three separate lawsuits Tuesday challenging a ruling by the State Records Committee that an interview between a BYU police officer and a former leader of the Missionary Training Center accused of sexual assaulting a woman in the 1980s should be made public. Lawyers for the private Provo university, which is owned by The Church of Jesus Christ of Latter-day Saints, wrote in the lawsuits that the school’s police department is not subject to Utah open-records laws — and argued the records committee erred in hearing the appeals of KUTV-Channel 2, MormonLeaks and Washington-based lawyer Corbin Volluz. The assertion that the BYU Police Department is not subject to the state’s Government Records Access and Management Act (GRAMA) is central to a pending lawsuit The Salt Lake Tribune filed in 2016, when the newspaper argued that the police force should be open to public records requests because it has “full-spectrum” law enforcement authority under state law. This means BYU officers may stop, search, arrest and use physical force against people, just as any other sworn officer in the state. But currently BYU police do not face the same requirements for transparency. BYU’s lawyer also argued in the lawsuits that the records committee chair pro tem, Holly Richardson, has a conflict of interest in the case because she is compensated by The Tribune for opinion columns. BYU also said that — regardless of whether it is subject to open-records laws — the 2017 audio recording of police interviewing former MTC President Joseph L. Bishop about an allegation that he sexually assaulted a female missionary should not be made public. But it made no argument detailing why. Ryan McKnight, MormonLeaks founder, said Wednesday that he was surprised by the university’s lawsuit — and confused why BYU is asking another judge to rule on an issue that Scott had already decided. Volluz said Wednesday that he’s interested in obtaining the recording because he believes the church is involved in a cover-up involving Bishop. He thinks BYU’s lawsuit is a tactic used to delay releasing the record, and said he’ll fight it in court. 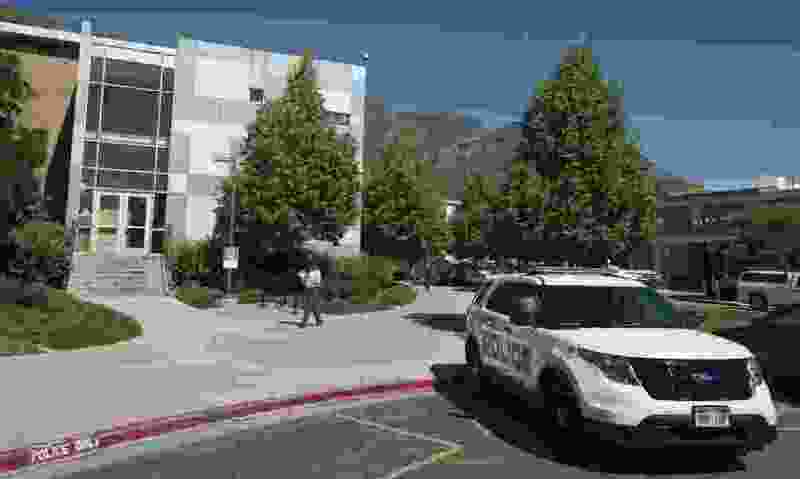 No one from BYU or the police department was present at the July records committee hearing when the three entities had argued the records should be released. In a letter sent to the committee, BYU attorney Steve Sandberg wrote that university officials would not attend because they believe the police force is not a public entity. “BYU will not be participating in the hearings or submitting any written statements or records for review to the State Records Committee,” Sandberg wrote. According to a BYU police report released in March, Bishop admitted to officers that he took a young woman into a small room at the Provo MTC in 1984 and asked to see her breasts. Police were questioning Bishop after the woman, McKenna Denson, reported to officers in 2017 that Bishop sexually assaulted her in a small room in the MTC. Denson in April sued the LDS Church, saying the Utah-based faith placed Bishop in charge of the training center despite “red flag improprieties” years earlier. Bishop, 85, was also listed as a defendant, though the lawsuit against him was later dismissed. He has denied assaulting her.